How do a group of people take flight and thrive after a history of suffering? They don’t give up. The University of West Alabama and the City of Livingston is proud of our agrarian roots and the sturdy people that continue to occupy and embody the South. Despite the economic issues associated with Alabama’s Black Belt, UWA believes the rich soil of the Black Belt is but a metaphor for the people of the region: rich soil means the ability to grow, heal, and make a difference. That is the paradigm of the 2017 rural school summit to be held at UWA on September 18–20. DIRT 2017, or “Digging Into Rural Traditions,” will help us connect with advocates and fellow members of the community to plan of a better future and enrich our lives. The tradition of the southern United States is characterized by the labor of our rural communities and the rich, dark soil that spans the South eastward into Delaware and westward into Texas. This geographical region was coined the Black Belt for its mineral rich soil and, before the Civil War, was the most profitable region for plantation owners to use African-American slave labor. After the Civil War, many slaves remained in the Black Belt as tenant farmers or sharecroppers. Due to the uneducated, poverty stricken masses of the region, the economy of many of these rural communities within the Black Belt stagnated, suffering not just from poverty but lack of quality education and skilled labor to support job opportunities. The consequences of the slavery of their ancestors mean black Americans have endured poverty and hardship disproportionately, but the economic stagnation of the Black Belt hurts ethnicities across the board. Many residents, primarily African-Americans, moved between the decades 1916 to 1970 in the Great Migration for social and economic opportunity to the western and northern regions of the United States. This rural exodus continues to happen, preventing a steady force of skilled labor. In Alabama, the densest region of the Black Belt lies in the western side of the state, where Livingston and the University of West Alabama dig their roots. The Teton Science Schools (TSS), an organization dedicated to educating and inspiring children and adults the wonders of the outdoors using the study of nature and education that is place-based. This conference is free to attend! Attendees receive a free T-shirt at registration. A free Jimmy Wayne concert also will be held on the lawn. Like the Black Belt is enriched with important, life-sustaining nutrients in its soil, the rural residents of these communities can achieve growth through education and support. 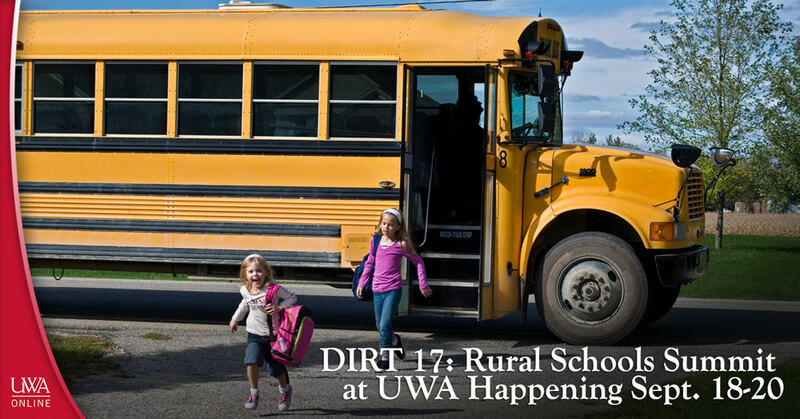 For more information on the DIRT 17 and how to support the conference, view the webpage here! Looking for more information on community events in the Livingston area? Continue following the UWA Continuing Education blog! If you’re interested in our continuing education course listings, check out our website at www.uwa.edu/ce! Posted on August 13, 2017 , updated on August 11, 2017 · This entry was posted in Courses, UWA and tagged DIRT 17. Bookmark the permalink.